The life and death of Vincent van Gogh fascinate the public. His name is synonymous with sadness while his artistic genius is known all over the world. For instance, there aren’t many people who haven’t seen an amazing print of The Starry Night. Newcomers to his works can attend one of the regular exhibitions held in his honor. This year, it’s the Tate in London that brings together over 45 of his paintings gathered from private and public collections. It makes sense to bring his most famous masterpieces to London, where van Gogh himself spent several years at an art dealer. The images of the city inspired his work; however, it’s only after he left London that van Gogh took on painting and produced over 900 pieces. Aside from the Tate, you can find plenty of other exhibitions of his legacy. The mesmerizing Starry Night, for instance, is in New York at the Museum of Modern Art. If you want a better understanding of his style and the way it evolved throughout the years, you should head to Amsterdam, where the Van Gogh museum shows over 200 of his paintings. 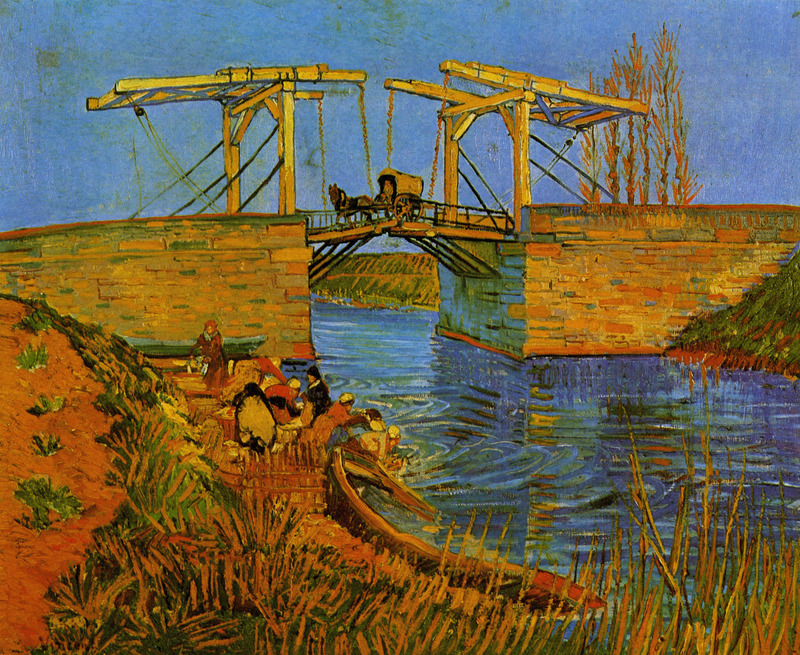 In addition, van Gogh has been a source of constant inspiration for films, TV series, and theatre plays. He character was played by the most famous actors, from Kirk Douglas in 1956 to Willem Dafoe in 2018, via Tim Roth, Jacques Dutronc, and Benedict Cumberbatch. To put it simply, van Gogh is a figure of popular culture. Needless to say, for an aspiring artist, becoming the new van Gogh is synonymous with fame. However, you take caution before you follow his legendary footsteps. Vincent van Gogh left an impressive legacy, however, you might want to think twice before following in his footsteps. The first image that pops in your mind when you think of van Gogh might be the anecdote with the razor blade and the ear. Indeed, van Gogh suffered a psychotic episode during which he severed part of his own left ear. However, he was unable to remember the accident afterward, which convinces doctors that the Dutch painter was under a lot of emotional stress. At the time, the hospital diagnosed him with acute mania with generalized delirium. Van Gogh portrayed the event in a series of self-portraits with a bandaged left ear. However, it isn’t the first time van Gogh displayed evidence of mental disorders because of acute stress and depression. Sadly, Gogh’s mental health led him to commit suicide when he was 37. There is no sign that his depression made him a better artist. On the contrary, many suggest that with right stress relief, van Gogh would have probably enjoyed a much more successful career. According to the NHS, 1 in 6 people struggle with depression and anxiety. The world of art and design is full of sensitive people who experience stress differently than others. If this describes you, I recommend that you take steps to alleviate your stress and anxiety for a happier, more successful life. Van Gogh had many stays at hospitals when he thought he couldn’t handle his demons. However, he didn’t take his physical health quite as seriously. Van Gogh was a heavy drinker who often neglected to eat. His poor diet affected both his physical and mental health and encouraged his sad fate. But more specifically, it’s likely that van Gogh’s diet choices helped his mental health decline by distorting his cognitive performance. Indeed, according to Ron Friedman, a psychologist who writes for Harvard Business Review, a poor decision at lunch can derail the rest of the day. Everything you eat transforms into glucose which fuels the brain. But when your brain is deprived of glucose, you find it hard to maintain your focus. Additionally, foods that are rich in vitamins and minerals are active in boosting your creativity. Vitamin C, for instance, helps with motivation and engagement. Additionally, vitamin E enhances mood and memory, which are both crucial to the generation of ideas. Even though van Gogh did over 900 paintings during his 9 years as a painter, he only sold one painting during his lifetime, The Red Vineyard (shown above), painted in Arles in November 1888, less than 2 years before his death. The picture is in Moscow, at the National Pushkin Museum. Commercially, van Gogh was a failure, and it is partially due to his inability to manage his career. Instead, Vincent’s brother Theo and sister-in-law Johanna van Gogh tried to manage his work. Unfortunately, because Theo and Johanna lived in the Netherlands, financial and marketing support for Vincent was difficult to organize. Today, emerging artists need to manage their designs like a business. Additional studies, such as an online degree in business administration, can make a significant difference in your career. This is quite unlike Vincent van Gogh who relied entirely on his brother Theo for financial support, material, business networking, and emotional support. Despite Theo’s arduous help, it’s certain that an informed and active self-management strategy would have been far more successful. He thought of his paintings as representations of his own sadness and extreme loneliness. Indeed, Vincent had very few friends, and the few he had kept a distance because of his unstable mood. His most infamous interactions are with Paul Gauguin, a fellow painter who agreed to work and stay with van Gogh at the end of 1888. The collaboration didn’t last long, however, and in December, van Gogh mutilated his left ear in a fit of rage. As a result, he lost the support of Gauguin. As you can easily guess, Van Gogh’s isolation prevented him from building a network of support and like-minded painters. In today’s modern business world, you need a network behind your creations. Social media platforms can give you the presence you need and enable you to reach out to a new audience. Facebook, Twitter, and YouTube are some of the biggest networking platforms an artist can use to promote creations and find patrons. Promotions are vital to your artistic career. Van Gogh, unfortunately, didn’t use any promotional activity and the geographical distance between his brother and himself made it impossible to build his business successfully. As an artist in today’s modern work, you need a basic understanding of how to market your art. Aside from social media best practice, you also need to build an online digital portfolio that lets new contacts discover your work. Also plan to make your portfolio part of a website that introduces your vision, training, and ideas to your audience. An exceptionally promising idea is to also consider a blog to keep your readers up to date on the important topics of your website. While van Gogh’s artistic artist business was not successful, there are still valuable lessons you can learn from him. as a result of his travels, van Gogh was able to study a variety of landscapes, lightings, and colors from many places in Europe. Although he was born in the Netherlands, his first job was in London where he worked as an art dealer. He then moved to Paris before heading back to England again. After returning to the Netherlands, he left for Belgium. It’s only towards the end of his life that he moved to France – Paris first and then the Provence. His constant travels pushed him out of his comfort zone and gave him the space to explore his creativity. Last, but not least, van Gogh kept active and detailed correspondence with his brother Theo. He wrote each letter as part of a diary that exposed his projects, fears, and feelings. Keeping a diary or a journal can help you to put ideas in words and explore new creative angles. While not every aspect of van Gogh’s life is something to emulate, you can learn from his life. For one thing, be certain to strive for a balance between your creative gifts and the business that builds up around your special talents. Then, apply the same tactics to your mind and body. Taking care of every part of you, your gifts, and your business will lead to a successful and thriving life. We wish you the very best for your creative business ventures. How Effective is Your Email Analytics?